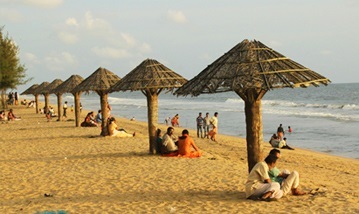 It will take 30 minutes by rickshaw and there you can feel the waves of marari sitting down the small coconut trees on the beach. It will take 40 minutes journey by rick saw from our place where you can see the thanneermukkam salt water barriers. It is the largest mud regulator in india. 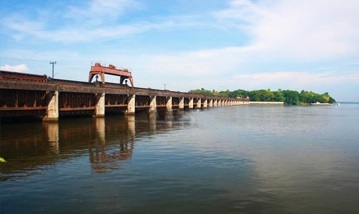 The barrier divides the lake into brackish water and fresh water drained from the lake. 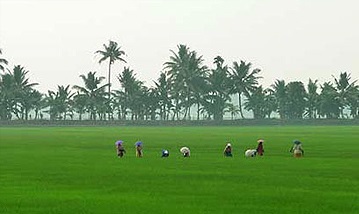 Kuttanad is known as the ‘Rise Bowl of Kerala’ where you can see the most heart falling joy vision of natural paddy field all around. The place is one of the very few geographical location in the world where the land in below sea level. 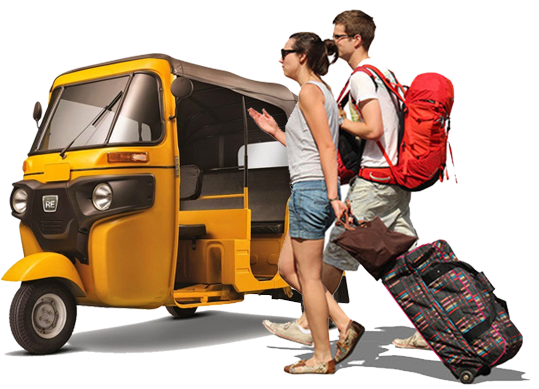 The rickshaw will take you a trip through the beach road watching the scenery of the prawns cultivation on the both side and take you to fort cochin. 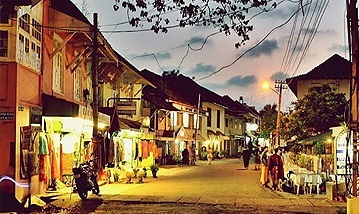 Fort cochin is popular for its Dutch colonies and Jewish street where you can see the historical constructions of place at the time Portuguese invasion. 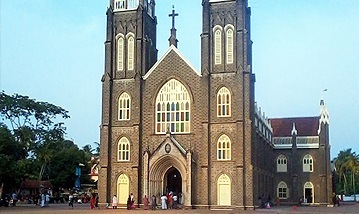 It is one of the most popular church in India. It is originally built by the Portuguese missionaries in the 16 th century. It was then rebuilt in 1584 under the then Vicar Fr. Jacoma Fenicio, whom the devotees claim have possessed magical powers to heal the body and mind. 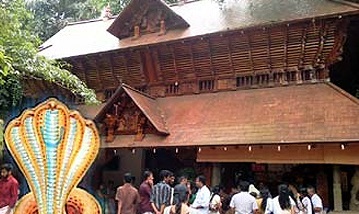 It is one of the most popular temple in kerala. It is beloved to have been built during 15th – 17th A.D. the ‘payasam’ served in Ambalappuzha which is sweet pudding with milk has an interesting mythological history behind it. This is the most famous serpent god temple in India. It have more stories about the miracle blessings of serpent god you can see most of the time the serpent appears in all temple permission, where you can pray very close in front of them. Alappuzha is situated 62 kilometres (39 mi) to the south of Kochi and 155 kilometres (96 mi) north of Trivandrum. A city with picturesque canals, backwaters, beaches, and lagoons, it was described as the one of the places known as the "Venice of the East" by Lord Curzon. 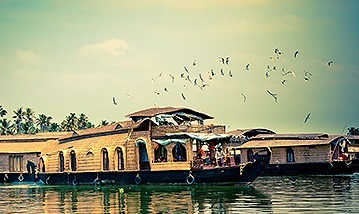 Hence, it is known as the "Venetian Capital" of Kerala.The 2 lakes( Punnamada Lake and vembanad lake) is combining in Alappuzha hence it is the biggest backwater place in india.Here We offer and arrange Backwater Cruises like Houseboat Full Board Premium and Standard Day Cruise and overnight packages, Day Trips like Canoeing Trips, Shikara Trips and Motor Boat Trips in backwaters. 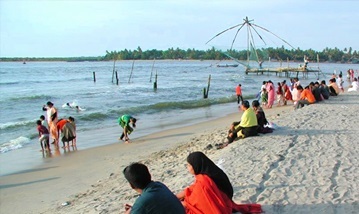 Kochi also known as (Fort Cochin) was a fishing village in the Kingdom of Kochi in the pre-colonial Kerala. 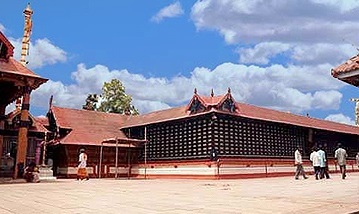 The territory that would be later known as Fort Kochi was granted to the Portuguese in 1503 by the Rajah of Kochi, after the forces of Afonso de Albuquerque helped him fighting the forces of Saamoothiri of Kozhikode. The Rajah also gave them permission to build Fort Emmanuel near the waterfront to protect their commercial interests. The first part of the name Fort Kochi comes from this fort, which the Dutch later destroyed. The Portuguese built their settlement behind the fort, including a wooden church, which was rebuilt in 1516 as a permanent structure, today known as the St Francis Church. Fort Kochi remained in Portuguese possession for 160 years. In 1683 the Dutch captured the territory from the Portuguese, destroyed many Portuguese institutions, particularly Catholic including convents. The Dutch held Fort Kochi in their possession for 112 years until 1795, when the British took control by defeating the Dutch. Foreign control of Fort Kochi ended in 1947 with the Indian independence. Chinese fishing nets (Cheenavala) The chinese fishing nets (Cheenavala) are distinctly unique to Cochin. It is believed that traders from the court of the Chinese ruler Kublai Khan introduced these nets here. 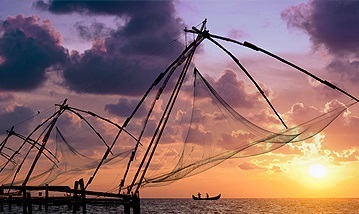 Oddly, these nets are found only in Kochi, outside China! Many fishermen earn their livelihood by fishing using these massive nets. A whole stretch of the coast along Fort Kochi and Vypeen are dotted with these nets. A stroll along the beach, particularly at sunset with the chinese fishing nets and sailing ships in the background, is a memorable experience. Many European style bungalows can be seen along the shoreline. The coastal stretch has loads of small stalls, which make on demand mouth-watering traditional cuisines using freshly caught fish. Jewish Synagogue The synagogue, built in 1568, is magnificently decorated by Chinese tiles and Belgian chandeliers. Giant scrolls of the Old Testament can be found here. 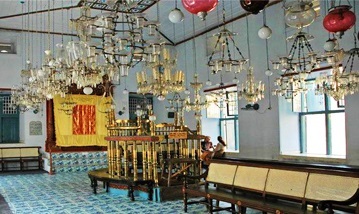 It is located near the Dutch Palace in Mattancherry. This lovely beach ideal for swimming is located on the north end of Vypeen island, one of the many small islands just off the mainland. 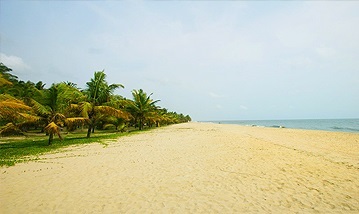 The beach is lined by gorgeous coconut groves and paddy fields. Vypeen can be reached by land or by boat. 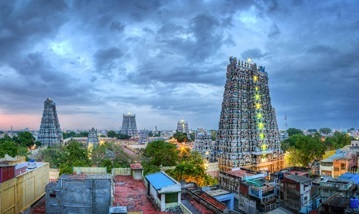 Madurai is known as the temple city of India. One of South India’s great temple towns, Madurai is synonymous with the celebrated Meenakshi Temple. Situated on the banks of river Vaigai, Madurai has a rich cultural heritage passed on from the great Tamil era more than 2500 years old. Madurai was an important cultural and commercial centre even as early as 550 AD. It was the capital city for the great Pandya kings. The Pandyan King Kulasekarar built a great temple and created a lotus shaped city around the temple. On the day the city was to be named, as Lord shiva blessed the land and its people, divine nectar (Madhu) was showered on the city from his matted locks. This city was henceforth known as Madhurapuri. Madurai is famous for Jasmine Flowers. Munnar is a town and hill station located in the Idukki district of the southwestern Indian state of Kerala. 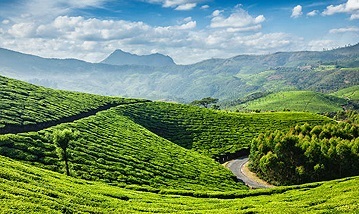 Munnar is situated at around 1,600 metres (5,200 ft) above sea level.It is very popular for tea plantations in india. Munnar is an attractive destination with the world's best and renowned tea estates. There are more than 50 tea estates in and around Munnar. Most of the plantations are taken over by the Tata Group. Some of the major tea estates in Munnar include Harrison Malayalam, AVT tea, Michael's tea, Brooke Bond etc. It is one of the biggest centers of tea trade in India. Until 1790, Munnar and the surrounding area were forests covered, when they were first recognized by the European known as Duke of Wellington. 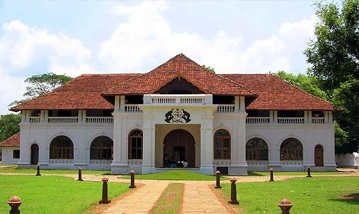 Later in the year 1870, a subordinate of the ruler of Travancore, leased 588 sq. km of land to a Scottish tea planter named J.D. Munro, who was the lawyer in the employee of the Travancore Government. Ferry boats are arranged by the Kerala Tourism Development Corporation and you can enjoy the wildlife and the surrounding nature while having a ride through the river. The sight of herd of elephants is an unforgettable experience. It will take around two hours to complete one boat ride. At the end of the ride you will be able to sight the walls of Mullaperiyar Dam. Thekkady offers a very peaceful and calm atmosphere. The chill climate of Thekkady will refresh your mind and body. 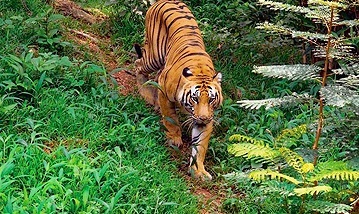 The forest areas around Thekkady is strictly uninhabited by the Forest Department to preserve the Mother Nature. 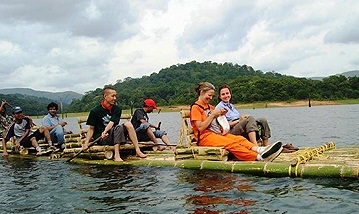 The nearest town to Thekkady is Kumily, which is 4 kilometer apart. You can plan a calm walk though this town. This town is also a place for shopping. You can shop here handicrafts, spices and cloths. Elephant rides here at reasonable price. 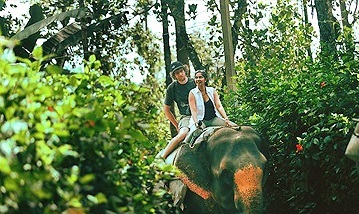 With these rides, you can dwell deep into the forests and enjoy the thrilling experience of sighting wildlife very near. Trekking also can be done with the help of foresters. We also arrange All India trips and tour packages in Places like Karnataka( ex:Bangalore, Mysore, Hampi),Rajasthan(ex: Jaipur,Udaipur,Jaisalmer,Jodhpur,Ajmer,Pushkar), Himachal Pradesh(ex: Shimla,Manali,Dharamsala,Kasauli) , Goa(Beaches Like Anjuna, Baga,Arambol,Vagator,Morjim,Canacona,Palolem etc) Lakshadweep Islands, Andaman & nicobar Islands.Kindly email us which places you are interested to visit and spend your holidays.Also If you have any choice of place in india to visit, kindly send us the enquiry,we will arrange at its best.